Friedrich Robert Donath (18 March 1905 – 9 June 1958) was an English film and stage actor. 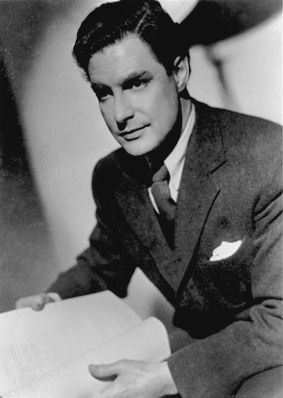 He is best remembered for his roles in Alfred Hitchcock's The 39 Steps (1935) and Goodbye, Mr. Chips (1939), winning for the latter the Academy Award for Best Actor. Donat was also a successful stage actor, despite the challenge of chronic asthma from which he suffered. Read more on Wikipedia.